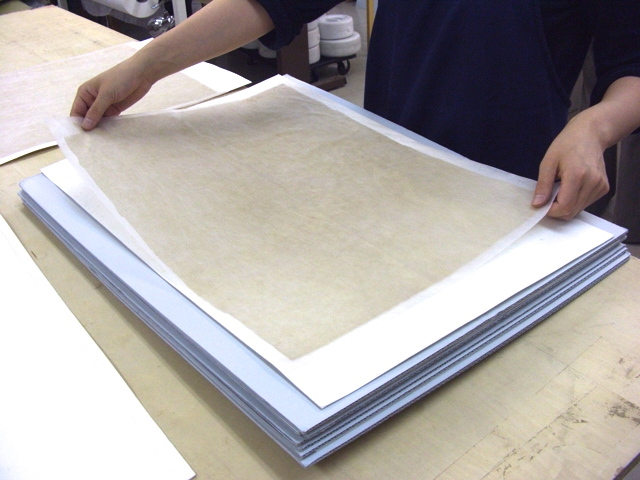 In book and paper conservation, it is occasionally necessary to dye Japanese papers in order to produce a repair paper sympathetic in tone to the treated object. Both the iron fixing method and the steam fixing method are compared in this study. 1. 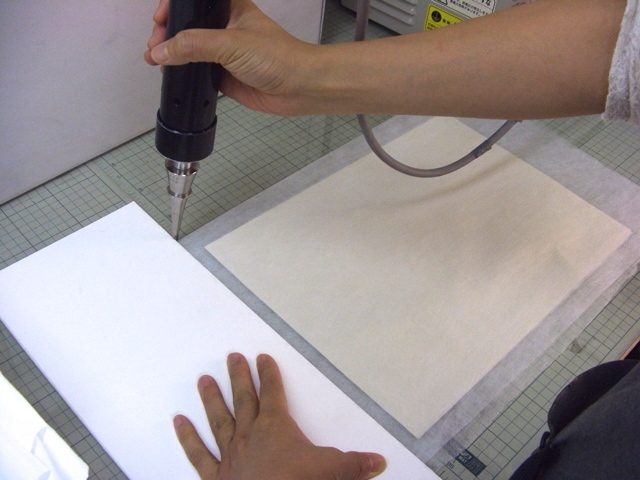 Paper preparation: A sheet of Japanese paper is placed in a pocket made of non-woven polyester – the remaining open side of the pocket is then sealed completely with an ultrasonic welder. The use of the pocket facilitates easier handling of the wet paper during the subsequent aqueous washing and drying . It is possible to insert more than one sheet of paper into a pocket in order to dye several at once if necessary. 2. 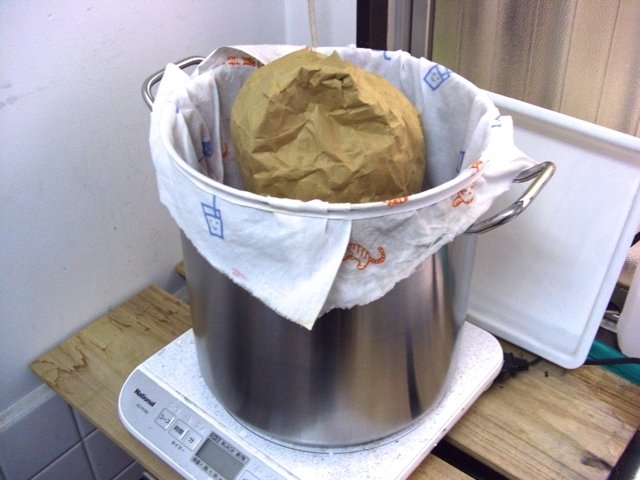 Wetting: Prior to dyeing, the sheet of paper in the pocket is immersed in a vat of water. 3. 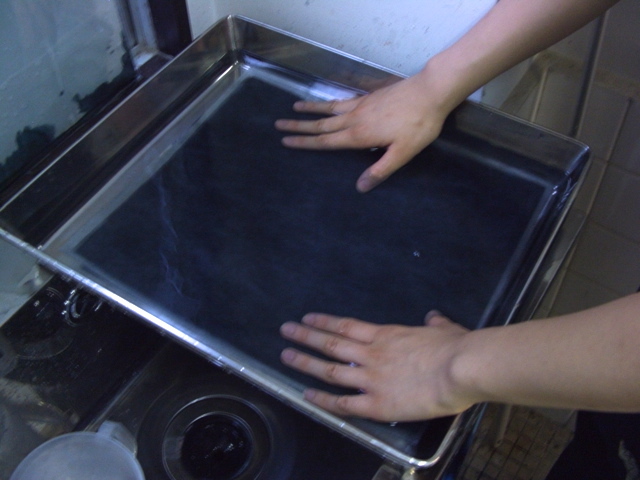 Dyeing: To make the dye solution, weigh the paper to be dyed. The weight of paper determines the ratio of dyestuff (Sirius dye® )to the water required. 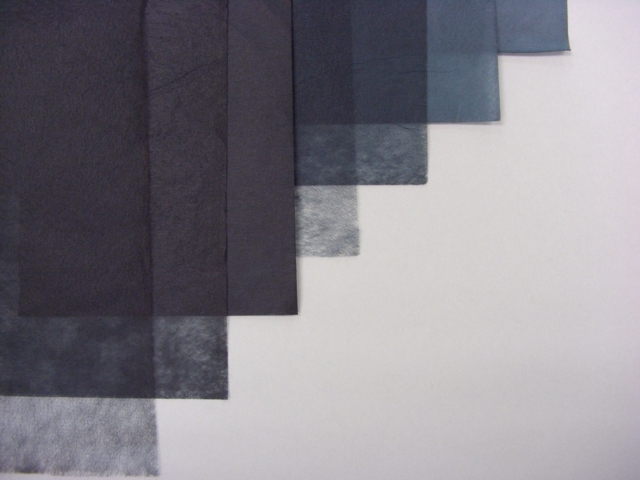 The weight of dyestuff used will range between 0.5 – 8% of the weight of the paper with the concentration depending on the intensity of colour desired. The necessary quantity of reverse osmosis water* (ten times the weight of the paper to be dyed) is measured and the dyestuff added to it. The paper in the pocket is immersed in a vat of the dye solution. 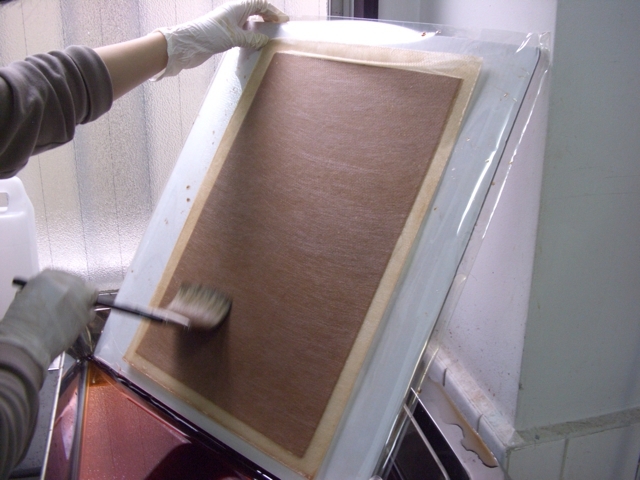 Take the paper in the pocket out from the vat and place it onto a board. Remove any excess dye/water with a flat brush. 4. Drying: Leaving the paper in the pocket, hang the dyed sheet until dry. 5. Ironing: Take the dyed paper out from the pocket and iron the sheet to fix the dyestuff. 6. Washig: Place the freshly dyed and ironed paper into a new pocket and weld the four sides closed. 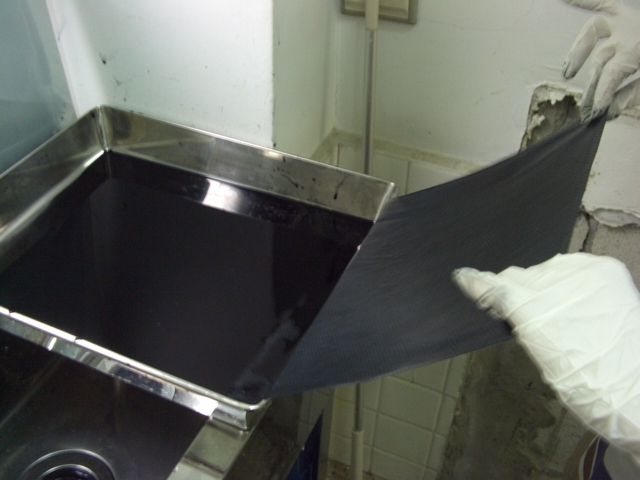 Immerse the enclosed paper in a vat of water to wash. Change the wash water and repeat immersion until no residual dye is seen to wash out of the paper. 1-4. Follow the iron fixing method steps 1 – 4. 5. 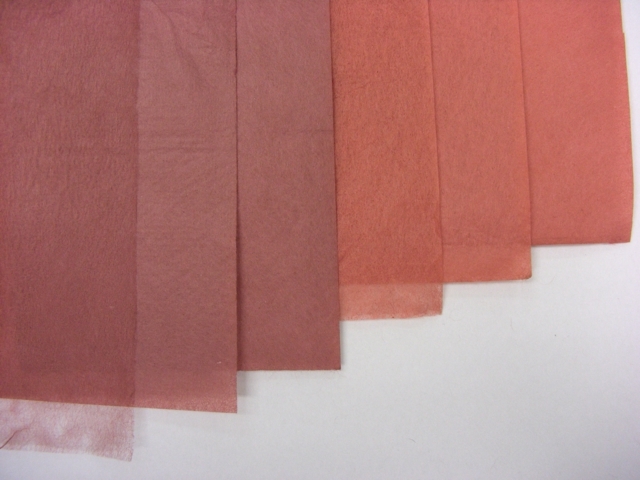 Steaming: With the newly dyed paper remaining in the pocket, wrap it with a paper such as craft paper in order to avoid any direct contact with hot water droplets or hot surfaces of the pan/steamer. This could result in an uneven finish in the dyed paper. Steam the paper for 30 minutes. 6. Washing: Take the paper in the pocket from the pan/steamer. Immerse the still enclosed paper in a vat of water to wash. Change the wash water and repeat washing until all excess dye is rinsed from the paper. 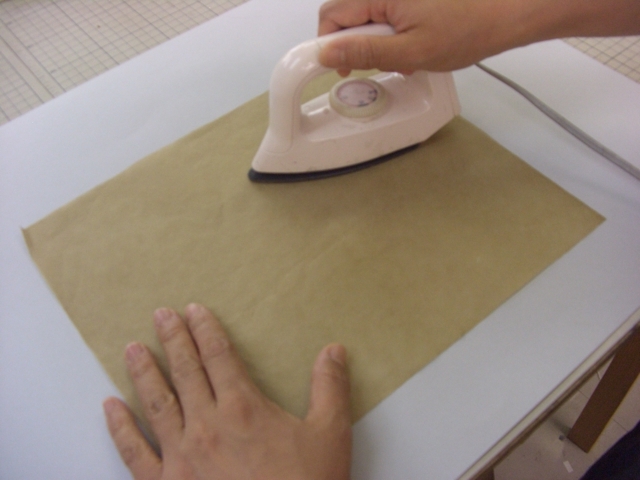 7: drying: Finally, dry the paper in the pocket by the air-stream method to complete the process. 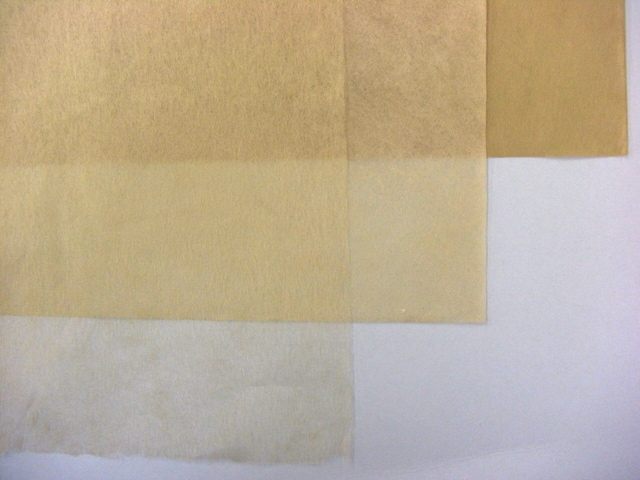 Regarding appearance and intensity of colour, there is no obvious difference between the papers dyed by the two methods described. 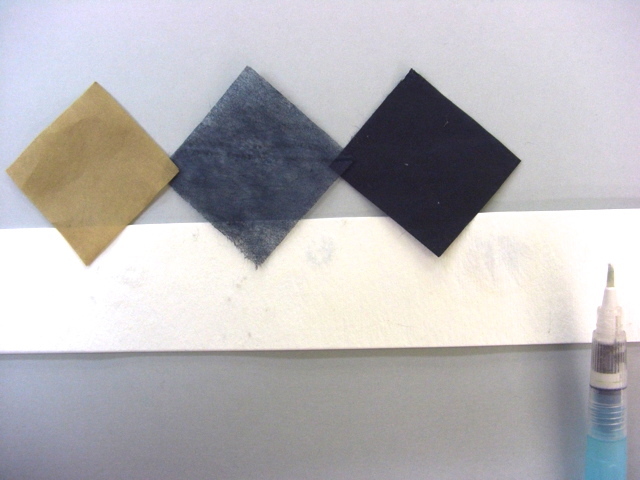 Both methods fix the dye efficiently – no colour movement was observed on applying water or water-based adhesive with a brush to the dyed papers when laid onto a sheet of blotting paper. 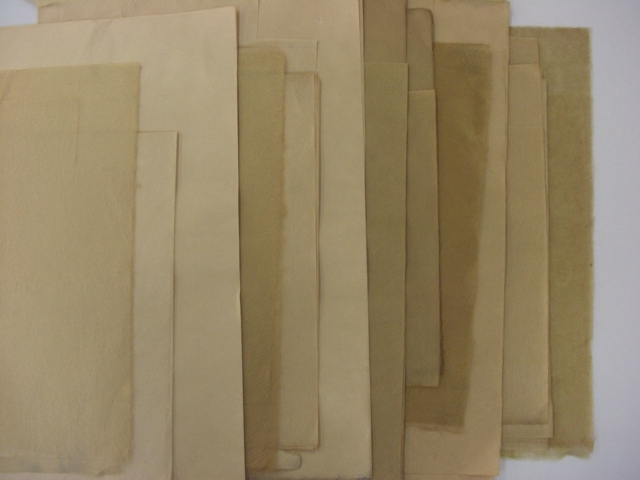 In terms of handling of paper, the iron fixing method necessitates that the paper is first sealed into the pocket for dying and then removed for dye fixing. The paper must then be re-sealed into the pocket for the washing stage. This repetition is not necessary in the steam fixing method which can be carried out leaving the sheet of paper in the pocket throughout the whole procedure. The pocket used in both of the methods enables minimal, easy handling of wet paper. 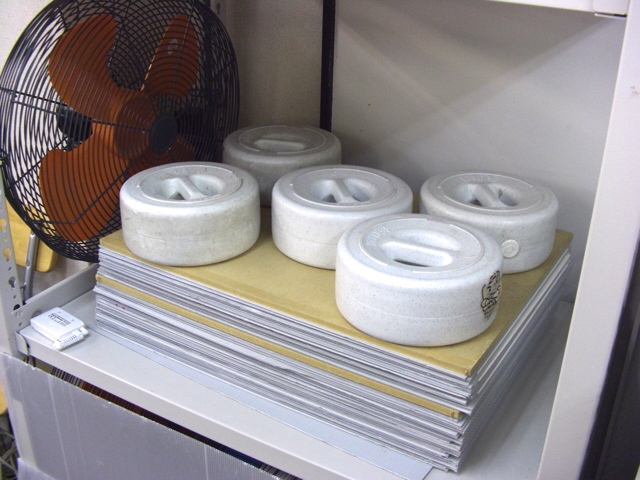 The ease of handling allows dyeing various weights of paper from sheets as light as 3 gsm to those as heavy as 60 gsm. Copyright (C) 2014 Archival Conservation and Enclosures Co, Ltd. All Rights Reserved.